Hey guys, I have a treat for you today. 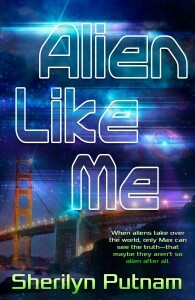 A cover reveal for Sherilyn Putnam’s new book – Alien Like Me. How gorgeous is that cover!! Alien Like Me is due for release on April 30th. Previous PostPrevious Rosanna Leo – guest post!! Next PostNext Cover reveals and writing updates! !